You might be noticing a lot of your friends or people from your neighborhood preparing for weddings this time of the year. That is partly because the weather is perfect this time of the year, and also it is the wedding season according to the alignment of stars. Well, that shouldn’t bother you much. And you should thank the stars for it, this will provide you employment and project opportunities to work on wedding designs. 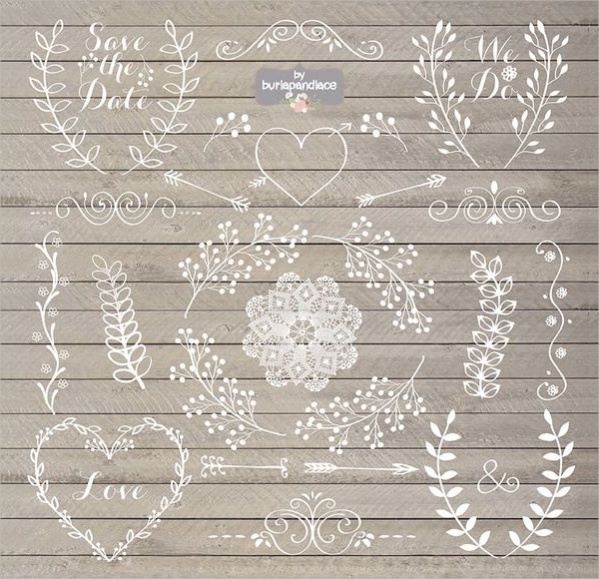 Have a look at this series of beautiful Wedding Cliparts to help you on the way. 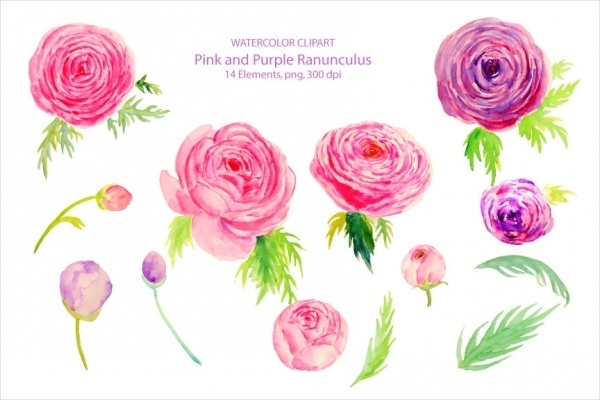 There are other free clipart designs as well for you to enhance your design resources. Something that you will see in every wedding is the exchange of rings. And when that is true for all weddings, why not use them as your design element. For that, check out this wedding ring clipart to download as a png. 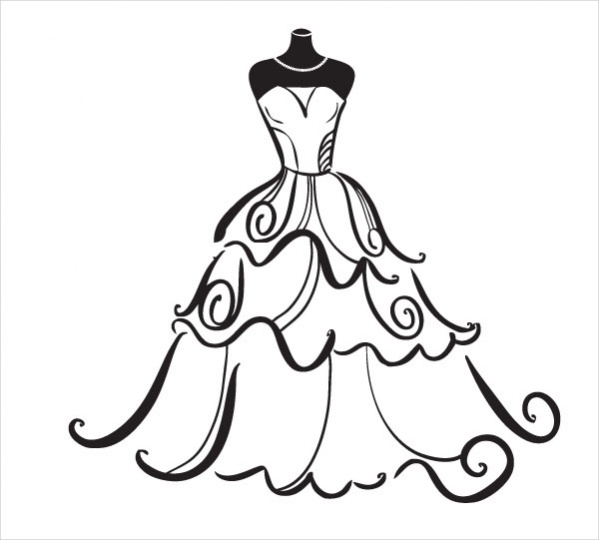 Your invitation can have intricate artwork and designs and for that, a wedding dress clipart like this will be amazingly perfect. You can download the free jpeg file from the below-mentioned link. You may also see Birthday Cliparts. Wedding bells are ringing this season. 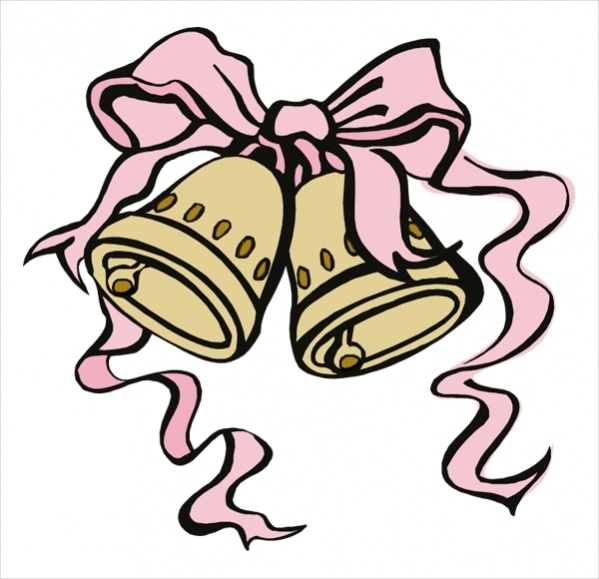 And so will your design with the help of this wedding bells clipart. The design is set in a png file in a resolution of 553 x 525 pixels. If you want to up your game a notch, then here is a premium collection of professional and flawless design collection that will make your work really simple. 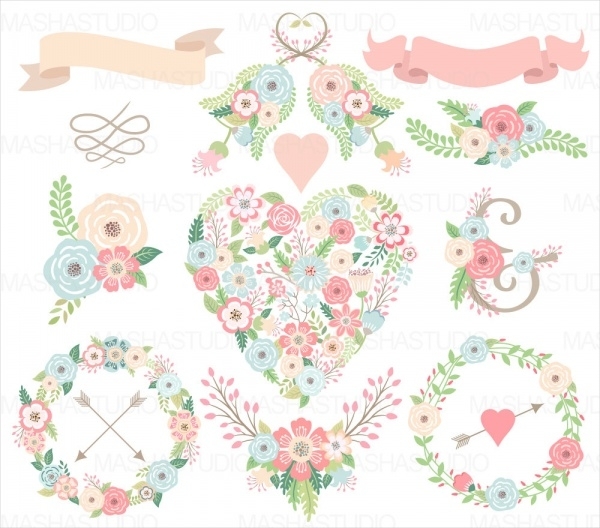 Download the wedding clipart pack from the given link. 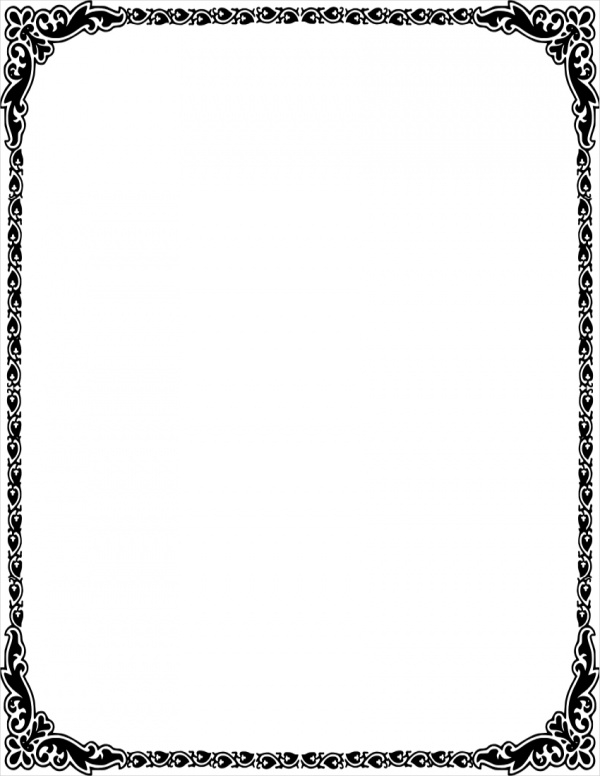 Create a great and beautiful border with a touch of cuteness using this wedding border clipart that shows the cute and cuddly pandas. This clipart is available for free to use for both personal and commercial designs. 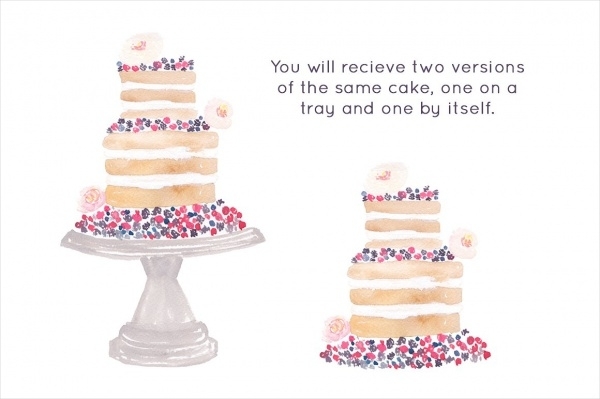 Here is another premium pack of wedding cake clipart that is set in watercolor and a shade of pink. Use a similar shade for the print paper design and place this lovely clipart on top for a great and simple design. Wedding anniversary comes around every year on the day of your marriage. So basically, a wedding will provide you new designs the same time of the year every year. 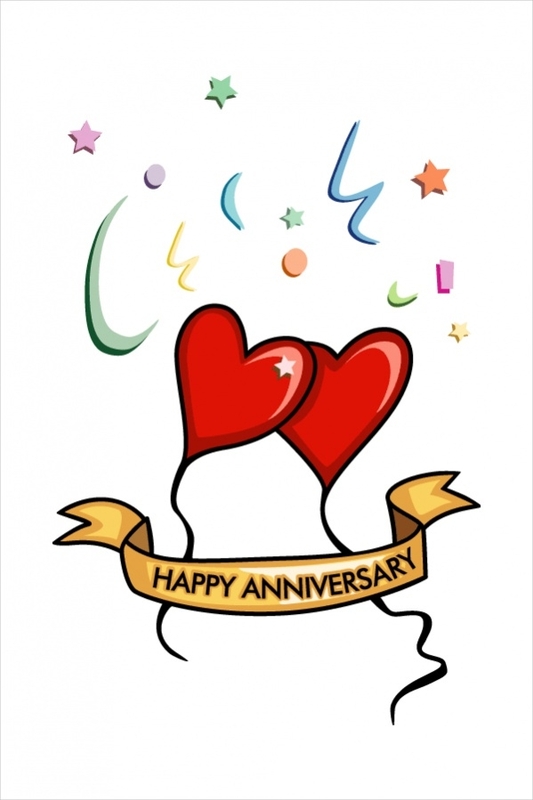 And here is a clipart that is representing the wedding anniversary in a neat way. Here is a pack that contains multiple clipart that are elements of the wedding with a theme of beach to it. Using this pack, you can create a great design for a beach wedding. Check out the premium collection here. A wedding usually involves two people. 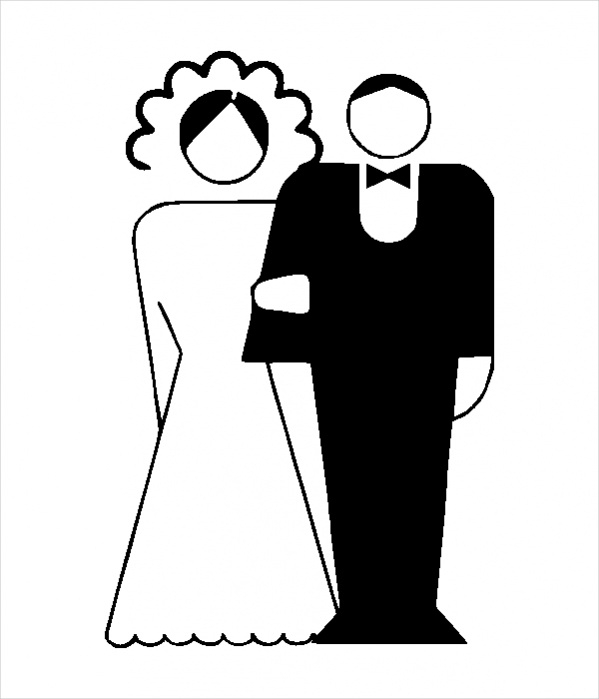 And here is a clipart which shows a heterogeneous couple that is the essence of the traditional wedding. You can even have two dudes or ladies for the same in today’s world. 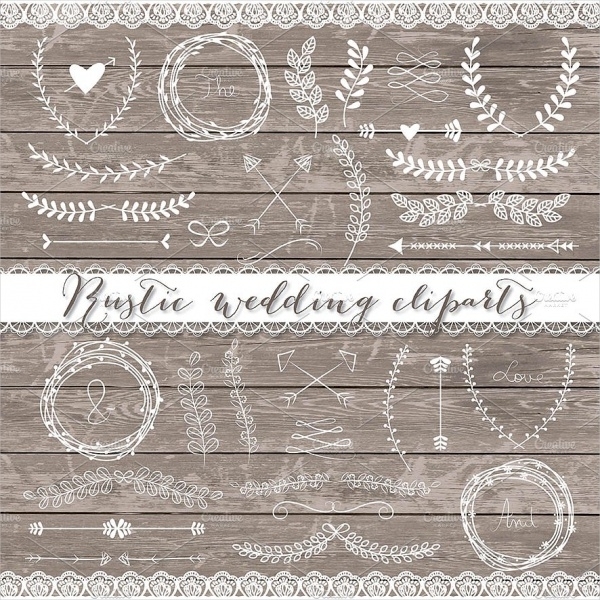 Add a bit of rustic and vintage touch to your wedding design using this vintage and classic wedding clipart in black and white. The detailed clipart can be downloaded as a free jpeg image from the given link. An invitation card design is sometimes all you will be working on for certain weddings. 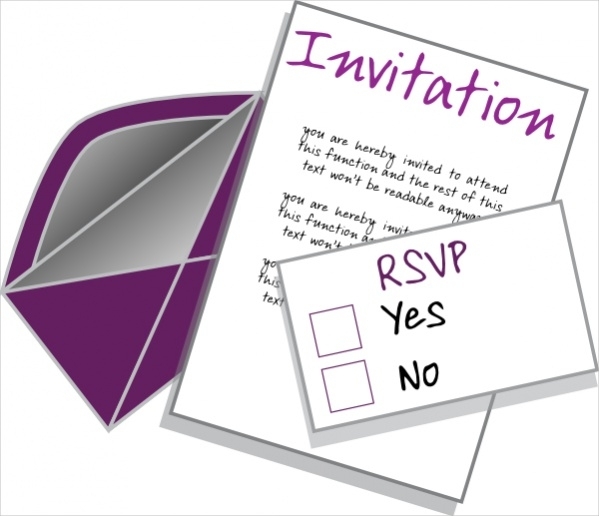 A similar invitation design can be achieved through this clipart that can be a small design element or a design reference. 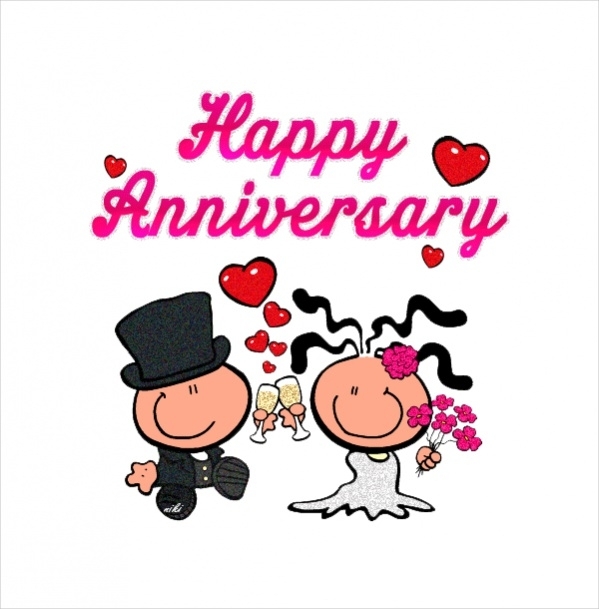 Here is a collection of 10 different animated wedding anniversary clipart that contains cute design creatures. You can download this collection for free from the below-mentioned download link. Check it out here for more details. 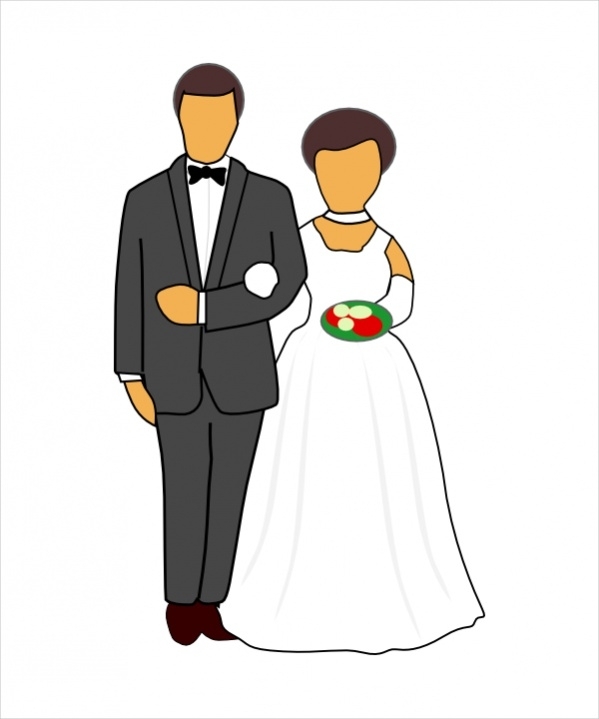 This clipart is again of a wedding couple, similar to the one you saw before, except this one is little more professionally done with a lot more detail. You can download this free design as a gif file in a resolution of 600 x 600 pixels. 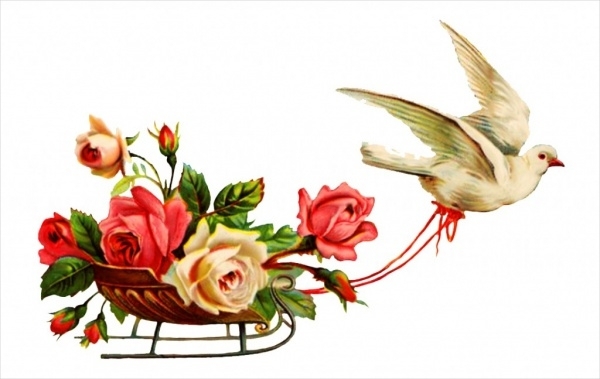 Here is a photorealistic representation of a pigeon flying off and carrying a whole pack of wedding flowers. 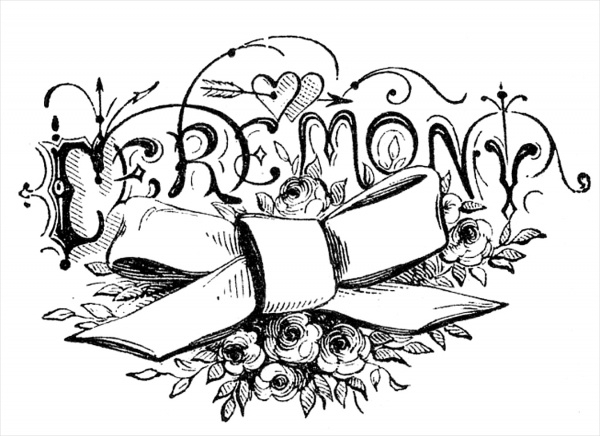 This great clipart can easily find a place in your upcoming wedding design project. Download the free jpeg image from the given link. This one is something you would have liked to see at the start of the list. 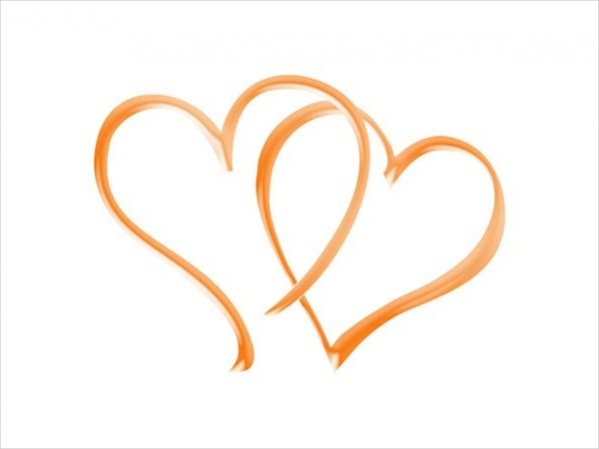 The hearts are the reason for a wedding or should be, and you can showcase the love through your wedding heart clipart that you can download as a jpeg image. How to use these “Wedding Cliparts”? 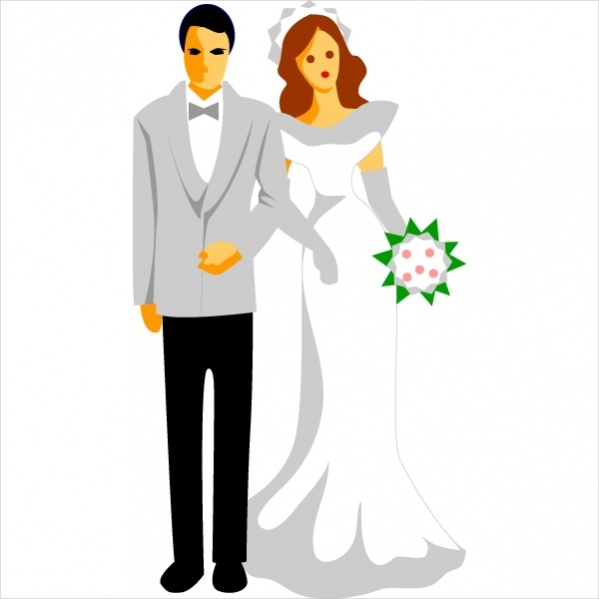 These wedding clipart are for everyone to be shared with. The original designers wanted you to use them in your projects as well, and also gave them a chance to showcase their work. But you can always use them just as a reference to create your own piece of artwork. These clipart are to be used to be placed as a design element which will act as a part of a bigger design, be it an invitation, greeting card, or a wedding banner. The choices of designs vary from designer to designer, depending upon what they are capable of and have to offer.You may also see Food Cliparts. So you know that even if you are just a beginner, you can still use these free and premium clipart and use them to create amazingly beautiful and professional designs. You can do it for your friend or family member who is about to get wed, or you can actually do it for a client who will pay you a hefty amount for it.